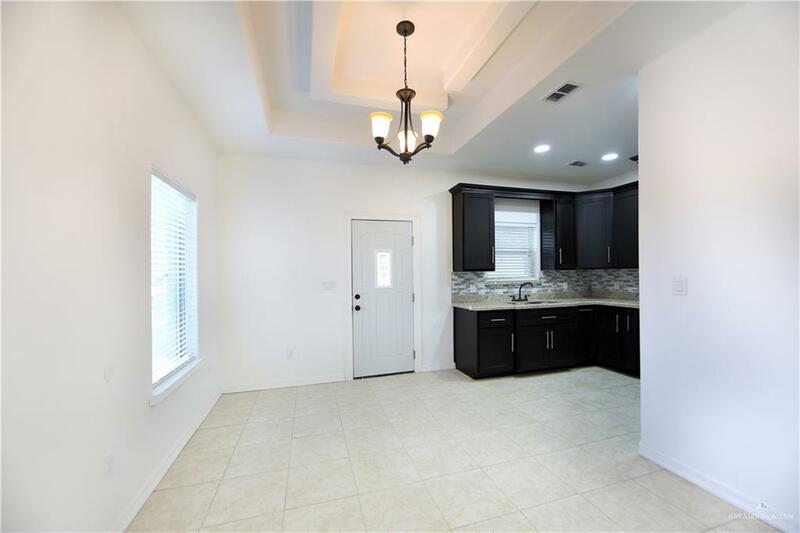 3 bed 2 bath 1,450 square foot brick home located at 3509 Paula Ave. McAllen, TX. 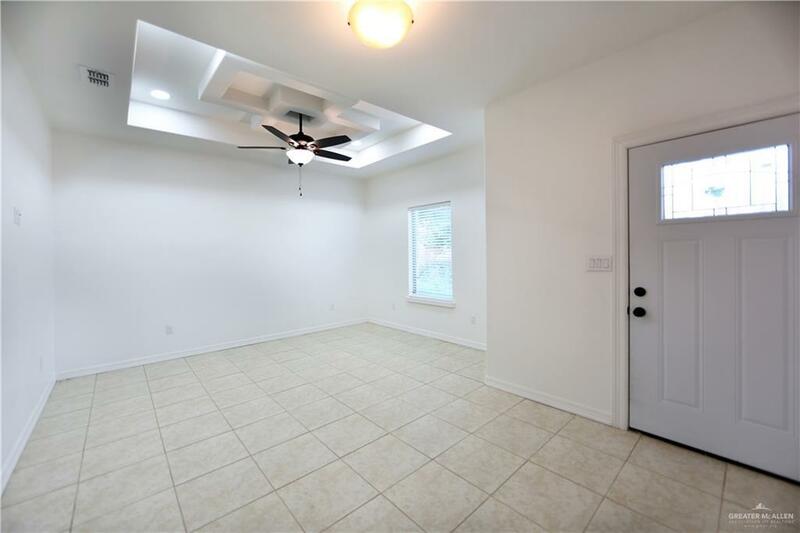 This brand new 2018 build includes 9-foot ceilings with custom ceiling and recess lighting as well as fans in every room, and lighting fixtures in its custom-built kitchen and entrance. 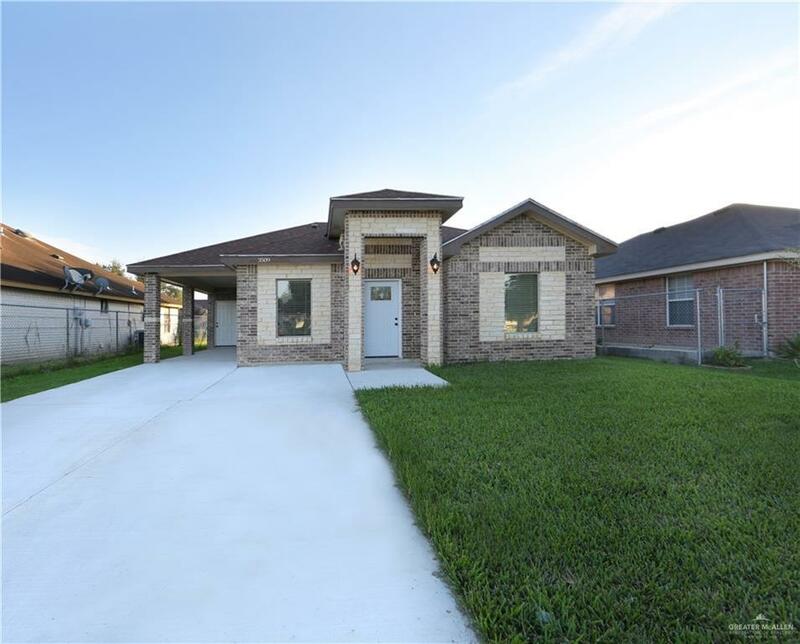 Additionally, the house has granite throughout and tile flooring as well as bronze finishings. The backyard is sizable and includes a carport and a large parking driveway.The home is walking distance from Sam Houston Elementary an A rated District Campus & Los Encinos Park which includes tennis, basketball, soccer, and baseball play areas and a pool, it is also walking distance from South Texas College Technology Campus and an upcoming IDEA Elementary School which opens August 2019.